Whenever one thinks of the brand Apple, one word which comes to mind is “class.” Apple, although expensive, is the first brand to introduce the concept of smartphones. It provided features in its first cellphones that were ahead of their time, opening a new horizon for other brands to follow suit, which they did. iPhone 5s is one of the expensive models in the 5th generation of iPhones. It had a great frame and display and sold out at a very fast rate soon after its launch. Software: iOS 7 and above. iPhone was crashing to a blue screen on using some apps. 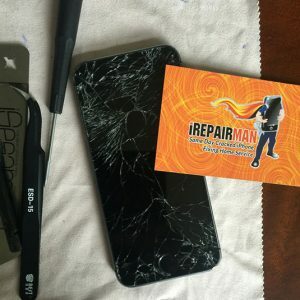 If you are facing any of the above problems contact iRepairMan, book a day and time and a place with our iTech and before it is too late, get your iPhone repaired in front of your eyes in 20-30 minutes. Our technicians are well trained, experienced, and DBS cleared and knew specifications and problems of iPhone 5S. You can rest assured that your cell phone is in safe hands. Our services can be booked via a telephone call or a text to our customer care or an email at [email protected] or by submission of an online form. Our technician in your area then contacts you within an hour and sets up a meeting time, place and day whenever it is feasible for you. Our technicians can reach in any part of London and 15-20 miles radius of Baker Street Station. You inform our iTech about the phone problem, and he repairs it in your presence and does not leave till you are completely satisfied. Payment can be done via card or cash. We give one-year warranty for our service, something you will not find elsewhere. Our goal is to provide efficient, cost-effective and long lasting repair to your phones. We try our best to leave the internal structure and programming undisturbed, as iPhones are very expensive so handling them with care is also important.